By hungry runner on March 14th, 2013 . Filed under: Clothing, Holidays, Kids . Do you dress your kids in festive outfits? 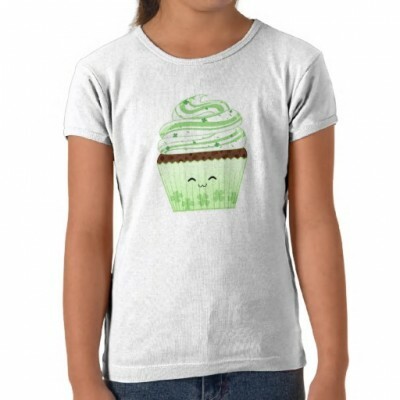 I think these cute kawaii St. Patrick’s Day cupcake shirt from Zazzle is perfect for this sunday! Prices start at $19.00 for this shirt that has just the right amount of green and shamrocks!